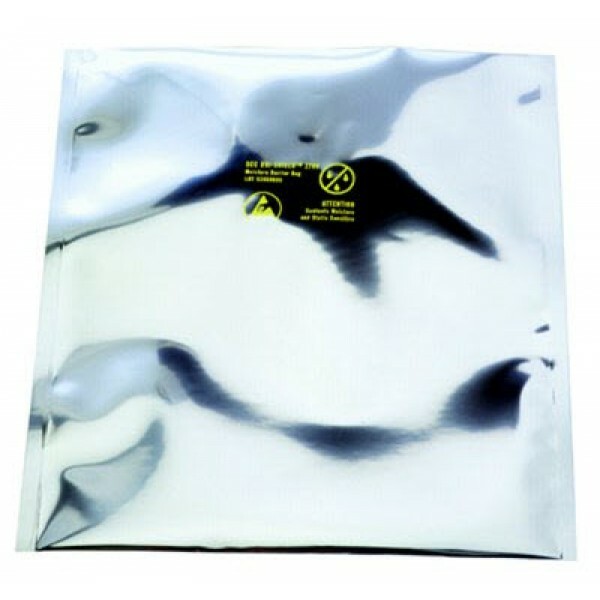 Dri-Shield 3400 Moisture Barrier Bag is made from a high barrier foil structure, and is designed for dry packaging of electronic devices. Bags help to protect SMD’s from mois- ture and static damage. Flexible structure is easy to vacuum seal. Lot coded for QC traceability. These bags are tested to meet or exceed certain electrical and physical requirements of IPC/JEDEC J-STD-033, ANSI/ESD S541, EIA 625, and to be ANSI/ESD S20.20 program compliant.